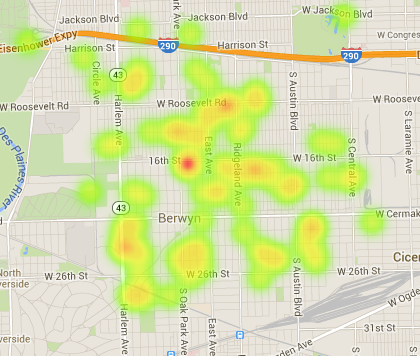 How would one go about creating a heat map (say, of the US) based on location data from Google Analytics? I'd like to somehow create such a map with the visitor data from several websites that use Google Analytics. Is there any way (mapinfo built in feature/ free or unlicensed tool) to create heat maps or hot spots like one shown in below link or attached image. There was a scenario not too long ago where we were required to create a heatmap layer on top of a Google map to plot latitude/longitude coordinates. I thought I�d share the process through which we pull the coordinate data from a MySQL database and plot it into the google map as a heatmap layer.